Nitrogen is indispensable to all life on Earth. However, humans now dominate the nitrogen cycle, and nitrogen emissions from human activity have real costs: water and air pollution, climate change, and detrimental effects on human health, biodiversity, and natural habitats. Too little nitrogen limits ecosystem processes, while too much nitrogen transforms ecosystems profoundly. 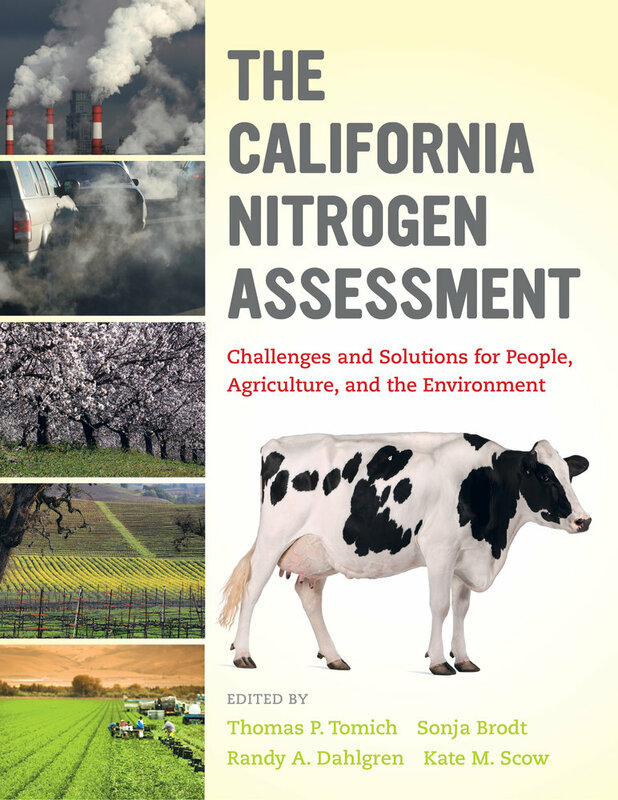 The California Nitrogen Assessment is the first comprehensive account of nitrogen flows, practices, and policies for California, encompassing all nitrogen flows—not just those associated with agriculture—and their impacts on ecosystem services and human wellbeing. 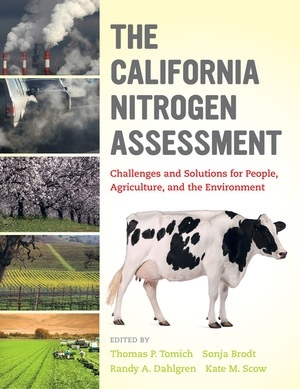 How California handles nitrogen issues will be of interest nationally and internationally, and the goal of the assessment is to link science with action and to produce information that affects both future policy and solutions for addressing nitrogen pollution. This book also provides a model for application of integrated ecosystem assessment methods at regional and state (subnational) levels. Thomas P. Tomich is W. K. Kellogg Endowed Chair in Sustainable Food Systems, Professor of Community Development and Environmental Science and Policy, and Director of the Agricultural Sustainability Institute (ASI) at the University of California, Davis. Sonja B. Brodt is Academic Coordinator at the UC Sustainable Agriculture Research and Education Program, a UC Agriculture and Natural Resources statewide program hosted by ASI at the University of California, Davis. Randy A. Dahlgren is Russell Rustici Endowed Chair in Rangeland Watershed Sciences and Professor of Land, Air, and Water Resources at the University of California, Davis. Kate M. Scow is Director of ASI’s Russell Ranch Sustainable Agriculture Facility and Professor of Land, Air, and Water Resources at the University of California, Davis.